Wappapello State Park is a few miles north of Poplar Bluff in the Southeast part of the state. Tonight we have virtually the entire park to ourselves. There is one other couple in a tent down the hill. The lake is a large reservoir with low water. We were impressed with the Missouri Roads. Coming east on US60 it is almost new and soon will be four lanes all the way. We stopped at Mansfield to take a break. I spotted a sign advertising an historic home tour. 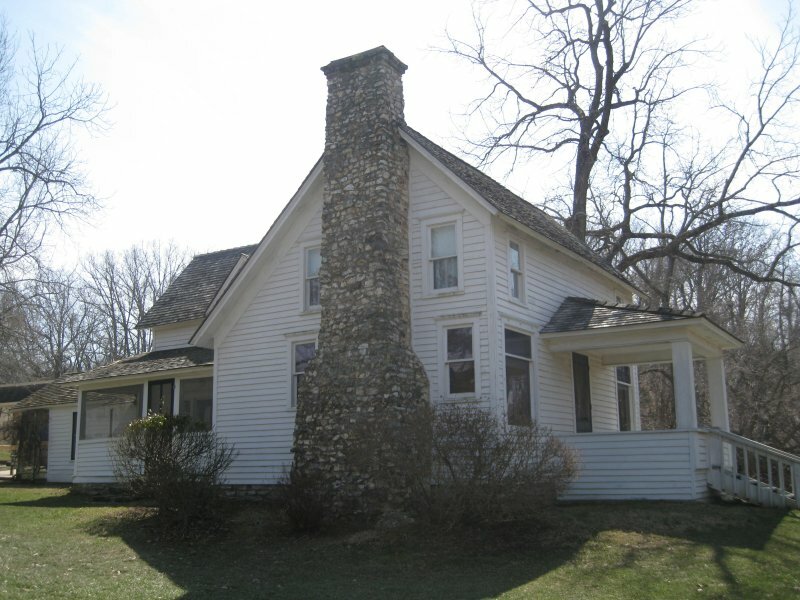 Soon we were touring the two homes, Rocky Ridge Farm (see photo) and the Rock House, of Laura Ingalls Wilder and her daughter Rose Wilder. Laura wrote the Little House books. The museum had a ¾ scale model of the covered wagon she and her husband used in 1895 to go from De Smet, SD to Mansfield, MO. It took about 35 days to go 700 miles. Laura didn't write books until 1932 at age 65. Her last book appears to be written in 1943. One of her homes, the Rock House, was a 1928 Sears Catalog house similar to our 1928 Nashville home. It was given to Laura and her husband as a retirement present. However, they preferred the home they had built by hand and only lived in the Rock House for a few years.